Pupil wins helicopter ride over London! 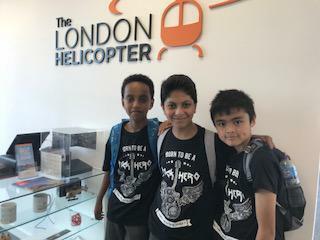 On Friday 6th July, Ali, Naz and Andre competed in the London Rock Wrangle. Ali won and was crowned Supreme Ultimate Rock Hero for Eternity!. 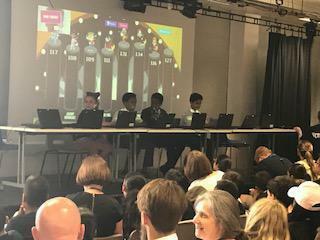 The Rock Wrangle event, hosted by Bolingbroke Academy and organised by Times Tables Rock Stars, saw over 50 schools (and over 150 students) from across Greater London compete in a huge Times Tables-Off. Ali, who answered an incredible 402 multiplication questions correctly in 3 minutes, said “never give up or stop trying!" 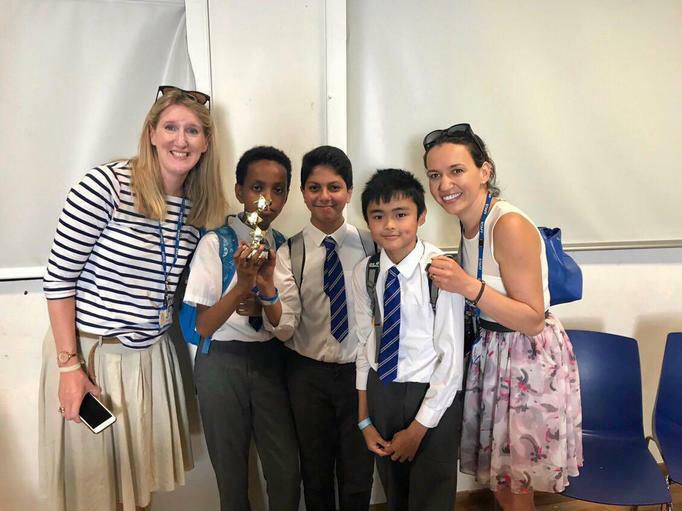 His teacher, Miss Colenso, commented, “I’m so incredibly proud of them all, their hard work has paid off!”. 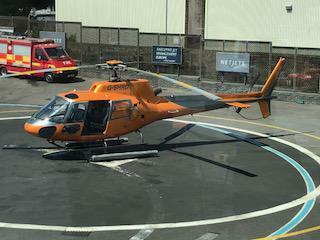 Ali and his team experienced true rock star treatment, as they were taken up in a helicopter for a joy ride across London. Times Tables Rock Stars (www.ttrockstars.com) is the brainchild of Bruno Reddy, a former Maths Teacher. It is a web and app-based programme which schools and families use to help their children improve their recall of times tables. TTRS, which uses a rock theme to engage the children, is now being used in more than 10,000 schools across the UK and in over 15 countries. 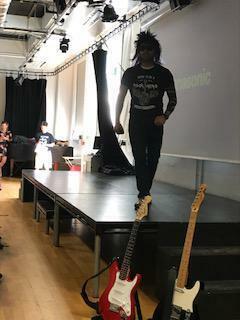 Bruno said “Rock Wrangles are a brilliant way to showcase the talents of the children in their times tables and to make maths fun.” This is one of a series of 2018 Rock Wrangle events for schools hosted by Times Tables Rock Stars across the UK.